Spanish music is a melting pot of styles and genres. 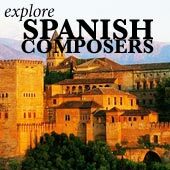 Nostalgic, intoxicating, with jagged chords and lightning-fast gypsy rhythms, it's not hard to see how the traditional songs and dances of Spain inspired the composers below! Spain was also ruled by Moors for 7 centuries, and this injected a deep Arabic influence in Spanish culture and art that lasts even today. 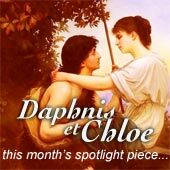 It's worth noting that Spanish classical music is dominated by chamber instruments. Apart from the piano, the most prominent chamber instrument for these composers is of course the acoustic nylon-stringed guitar. Capable of quiet, sweet songs, rowdy dances, and everything in between, the "Spanish" classical guitar repertoire is infused with the rhythms, dust, and sweat of all Spain's regions. Here are the greatest spanish composers, those who defined and refined their country's musical style. They all come from the late Romantic period, when nationalist music was growing in popularity. Albeniz, the great nationalist spanish composer, one of Spain's musical treasures. A famous and respected concert performer, his compositions shaped the future of Spanish music. Isaac Albeniz learned piano at a very early age and performed in public as a child prodigy. He toured Spain with his father at the age of 9. The composer studied in Leipzig and Brussels in his later teen years. At one point he set out to study with Franz Liszt, the famed piano virtuoso. Albeniz traveled all the way to Budapest (where he thought Liszt was), but the great pianist was in Weimar - Albeniz had missed him! 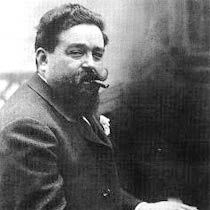 Albeniz flourished after he moved to Madrid, gaining a reputation as a virtuoso pianist and teacher of the highest calibre. 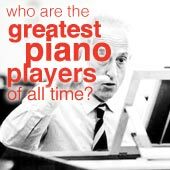 His performances were so dazzling that he was ranked with the most extraordinary pianists of the century. In the early 1890s he toured Europe, but at the close of the century he began to suffer from a kidney disease. He stopped performing and began composing again, completing his last masterwork (Iberia) the year before he died. Isaac Albeniz's work was inspired by Spanish folk music, especially from Andalusia in the south. The composer himself thought that his music was straightforward and vivacious, but lacked depth. But his pieces capture the spirit of Spain: sun, life, and joy. He injected exotic chords and gypsy rhythms into his pieces, and was so prominent that he inspired other Spanish composers to take up the pen. His most famous works are the Spanish Suite, 8 piano works imbued with the character and flavor of various Spanish cities which have found great popularity as transcribed guitar pieces. He is also known for Iberia, a suite of 12 piano pieces. Manuel de Falla, the quintessential Andalusian. He ranks as one of the most important Spanish composers of all time. He was inspired during his teen years by a performance of Edvard Grieg's music. He later recalled that it was at this moment that he felt his path in life was music. He studied piano in Madrid, and won first prize in the piano competition at his school in 1899. He had already begun composing small works for chamber instruments and voices, and even a one-act opera. He moved to Paris in 1907 and met Ravel, Debussy, and Paul Dukas. The King of Spain gave him a grant which allowed him to stay and compose in Paris until the outbreak of WWI, when he moved back to Madrid. Later, de Falla moved to the Andalusian city of Granada and remained there for a good chunk of his life. The city was filled with other Spanish artists and poets of the day, as well as the magic of the Alhambra palace. This environment surely helped the great Spanish composer's music! His most famous pieces are Nights in the Gardens of Spain (video of part 1 below), a piano/orchestral night painting, the ballet El amor brujo ("Love the Magician"), and the Ritual Fire Dance. The son of an army officer, Enrique Granados began studying piano at a very early age. He was taught by a teacher of the Paris Conservatoire, and eventually moved to Paris at the age of 20. In the two years he spent in Paris he befriended the what would become France's greatest musical minds: Ravel, Debussy, Faure, Saint-Saens, and many others. He was the first person to perform Grieg's piano concerto in Spain, and in 1901 set up his own music academy. His piano playing was so distinctive (due in no small part to his own teachers) that his school was dedicated to teaching pupils to play piano in the delicate, richly-toned style Granados himself was famed for. He was even one of Isaac Albeniz's teachers. Granados died tragically when the ship he and his wife were on was torpedoed whilst crossing the English Channel during World War I. He saw his wife drowning and jumped in the sea to save her, despite having a phobia of water. His compositions are mostly poetical piano works, full of life and emotion. This Spanish composer's most famous pieces are his set of 6 piano pieces, the Goyescas, which were inspired by the Spanish painter Goya's art. Other popular pieces Granados composed include the 12 Spanish Dances and 7 Poetic Waltzes. The 20th Century Spanish maestro Joaquin Rodrigo lost most of his vision at a very young age, but this only allowed his hearing to flourish. He began studying piano and violin at aged 8, and eventually studied in Valencia and later under Paul Dukas in Paris. His music was first published in 1940, when he was relatively old. But this was just the beginning of a fabulous, highly successful career. After WWII, Rodrigo became a professor of music history in Madrid. But the success of his first major work, Concierto de Aranjuez, lead to him being flooded with requests from famous soloists. He was showered with awards from Spain, and even raised to the Spanish nobility. His greatest legacy is raising the Spanish guitar to the status of concert instrument, making it respected enough to be allowed to perform with full orchestra. Rodrigo's most famous work is the Concierto de Aranjuez, a popular concerto for guitar and orchestra (video of the second movement below). Other famous pieces include Fantasia para un Gentilhombre and the cello concerto Concierto como un divertimento. The legend goes that Tarrega's father was a flamenco performer, and young Francisco would unsuccessfully attempt to imitate the beautiful sounds on his father's guitar. The guitar at the time was seen as more of an accompaniment for singers rather than a proper instrument. Tarrega's father forced him to study piano as well since that was the popular instrument of the era. The young musician ran away from home 3 times growing up, each time trying to make it on his own as a musician. But his father always caught up with him and dragged him home. At one point Tarrega even joined a band of gypsies. He studied guitar in Madrid, and ended up teaching the instrument. Before long he was touring Spain performing on the guitar, his repertory including a few pieces he composed himself. He even transcribed the works of past master composers such as Beethoven and Chopin into guitar versions. Tarrega continued touring across Spain and composing right up his death. A guitar super-virtuoso, he generated more interest in the guitar in general, as well as developing new sounds and playing techniques. Like Albeniz, he tried to blend Romantic-era musical ideals with Spanish folk melodies and rhythms. This Spanish composer's most famous works are Lagrima and Recuerdos de la Alhambra, a fascinatingly complex guitar piece which paints a picture of the magical Alhambra palace. This CD of Spanish guitar music has popular pieces from the above composers (and some others) - a great introduction to Spanish classical music! Click to explore Russia's great composers - a world away from Spain, both geographically and musically!